We're doing a unit on Bats & Spiders this week, so I created an Emergent Reader called Where's the Spider? for my kiddos to practice sight words and positional words. 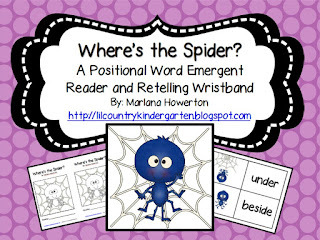 It includes positional word cards to match with corresponding spider positions, as well as, a retelling wristband that would be great for assessment. 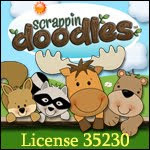 Check it out on TpT by clicking the picture above! I'm ALWAYS looking for more activities with positional words - seems like kids either "get it" or they don't and this activity is SUPER CUTE! I'm going to go check it out now!! !